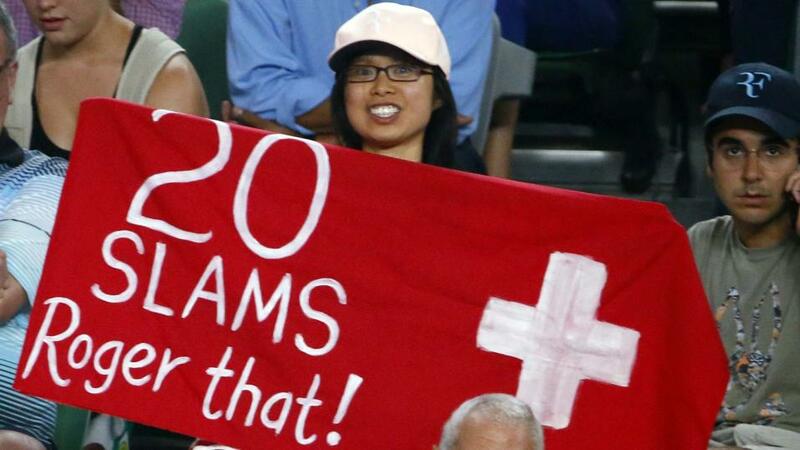 Will Roger Federer capture his 20th Grand Slam title? "Cilic hasn't just had issues against Federer in his career, but has also had numerous problems against elite players in general. Against Federer, Djokovic, Nadal and Murray - the traditional elite four - he is 7-40 throughout his career, so it is very evident that Cilic has huge issues playing at his peak level consistently against the best players in the world." Rewind back to last summer, and the Wimbledon final. After the draw fortuitously opened up for him, Cilic faced Federer and was outclassed, regardless of the impact of any possible injury. The Croat finds himself in a similar situation tomorrow, but the fact that Federer takes an 8-1 head to head lead into the match makes a similar outcome extremely likely. Cilic hasn't just had issues against Federer in his career, but has also had numerous problems against elite players in general. Against Federer, Djokovic, Nadal and Murray - the traditional elite four - he is 7-40 throughout his career, so it is very evident that Cilic has huge issues playing at his peak level consistently against the best players in the world. Mentally, this must be a considerable strain on Cilic and even without looking at any in-depth data, it establishes that he will be a heavy underdog to take the title, and in addition, Federer also has a decent edge when looking at hard court numbers across the last 12 months. In this time period, Federer has held serve 90.8% of the time, a figure that is 7.6% more than Cilic's 83.2%, although it's worth noting that Cilic does boast marginally better return numbers, breaking opponents 26.7%, compared to Federer's 26.2%. Bearing the head to head record in mind, and these serve and return percentages, my model calculated Federer's price to be [1.22] to take his 20th Grand Slam title, also establishing that for him to have actionable value, he'd need to be available at [1.29] or greater. Unfortunately, Federer is currently a little shorter than this required mark - he's trading at [1.27] on the Exchange at the time of writing - so it's pretty difficult to find much in the way of value here, prior to the match at least. Federer's scorelines when priced as a [1.20] to [1.50] favourite also don't offer much in the way of historical bias, so finding a handicap or correct score option is also quite difficult as well. Furthermore, isolating Grand Slam finals where Federer has been a sub [1.50] favourite, he's played two five-setters (won one), won four set match and won two in straight sets. On this basis, perhaps the best angle is just to watch the match as a neutral - if it's half the spectacle of the ladies final on Saturday it will be well worth your time anyway - and look to see if trading entry points manifest themselves during the match. In an ideal world, for in-play strategies, I'd be probably looking for Federer to fall behind, but be very competitive on the Cilic serve.